Everyone has their own preferred sleeping position. Often, their preference has to do with the way they feel they’re getting the best sleep. But is this true, or do certain positions foster better sleep quality than others? While no one sleep position is considered “the best,” some sleep positions are better for some people while other sleep positions aren’t as beneficial to them. Side sleeping is an excellent sleep position choice for individuals with acid reflux, sleep apnea, or women who are pregnant. Sleeping on your left side specifically helps keep the contents of the stomach from refluxing up into the esophagus, causing painful burning sensations. Sleeping on either side can help keep the airway open for people who experience apnea. Back sleeping, on the other is not the best choice in sleep position for individuals dealing with the issues described above, especially pregnant women. When the baby is large enough, it can press on the vena cava, a major blood vessel, which can produce symptoms like nausea and shortness of breath. For people without acid reflux, sleep apnea, or are not pregnant, however, when sleeping on a good mattress, back sleeping is best for supporting the natural curvature of the spine and is said to reduce the formation of new facial wrinkles since the face is not pressed against a pillow. Sleeping on the stomach can be difficult for many people, but others absolutely swear by it. Stomach sleeping can be as helpful as side sleeping for individuals with apnea and can reduce snoring. However, sleeping on the stomach flattens the spine in an unnatural way and may also cause neck strain. The most important thing is to sleep the way you feel most comfortable sleeping. Your sleep quality will be affected negatively if you’re experiencing heartburn and acid reflux all night or if you’re being awoken by snoring or episodes of apnea. 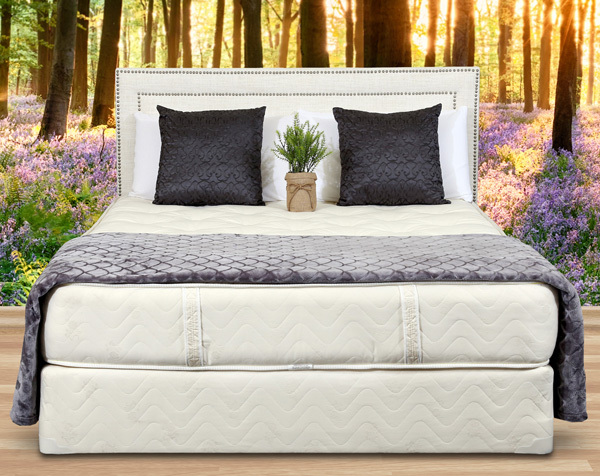 A good quality, comfortable mattress that supports you no matter what position you sleep in is even more important than the particular position you choose. Mattresses wear out after 10 years or less, and sleeping on a mattress that is sagging or is uncomfortable will affect your sleep quality much more than your position. Learn more about purchasing a high quality mattress that will help you get a more restful night’s sleep by contacting Gardner Mattress at 1-800-564-2736. *Note: If you experience extensive snoring or episodes of apnea, or feel that you may be at risk for sleep apnea, discuss your concerns with a doctor as soon as possible. Sleep apnea can be dangerous when not treated, however, treatment is typically as simple as wearing a comfortable breathing apparatus at night. Should You Buy a Bed with an Adjustable Base? Does Stress Affect Your Sleep Cycle?